On October 13th, 2012 at approximately 1:30 a.m., officers from the Eastern District responded to the 7000 block of Outing Avenue in Pasadena for a call of a shooting. Upon arrival, officers found two victims, Matthew Morrow, age 21, and another male, age 20. Both victims were suffering from gunshot wounds. Officers immediately rendered first aid to include CPR until Anne Arundel County Fire Department personnel arrived and took over treatment of both victims. The two victims were transported to area hospitals. Matthew Morrow died from his injuries a short time later. The second victim is being treated for non life-threatening injuries. Detectives from the Anne Arundel County Police Homicide Unit responded and initiated an investigation, consisting of evidence collection and witness interviews. Preliminary information indicates that the victims were attending a house party in the 7000 block of Outing Avenue in Pasadena. The two victims were standing in front of the residence when the suspect(s) began shooting at them. The suspect(s) then fled the scene in a dark colored vehicle. There are no further descriptions of the suspect(s) or vehicle. Detectives do not believe that this shooting was a random act. The investigation is active and ongoing. Anyone with information is urged to contact Detective Shelly Rattell of the Homicide Unit at 410-222-3458 or contact the Anne Arundel County Police Department at 410-222-8610. Additionally, to remain anonymous, contact Metro Crime Stoppers. ORIGINAL 11:23am: A party near the intersection of 214th Street and Outing Avenue in the Green Haven neighborhood in Pasadena ended in tragedy early this morning when a 20 year old male was killed and another young adult was sent to the hospital. 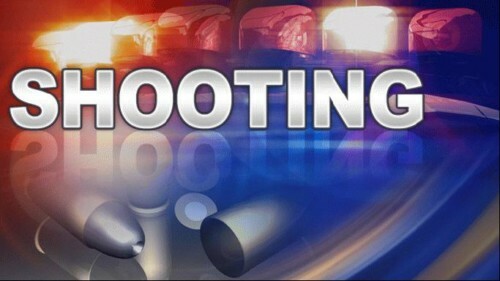 Details have not been released by the police but from people close to the situation, the shooting occurred about 1:30am. We have heard that the second victim has been released fro the hospital after suffering wounds to the hip and wrist.